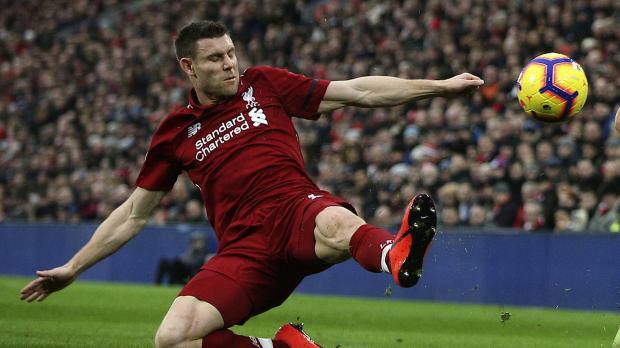 Liverpool midfielder James Milner was shown a red card by his former PE teacher over the weekend, in what will have been an uncomfortable flashback to his schoolboy youth. Milner, 33, walked straight down the tunnel without waiting for referee Jon Moss to give him his marching orders after a rash tackle on Wilfried Zaha. Moss taught Milner around 20 years ago at Westbrook Lane Primary School in Leeds, the BBC reported. A photo posted on Twitter shows Moss standing alongside the youth team led by a young Milner as captain. The sending off means Milner will now miss Liverpool’s home clash against Leicester on January 30.